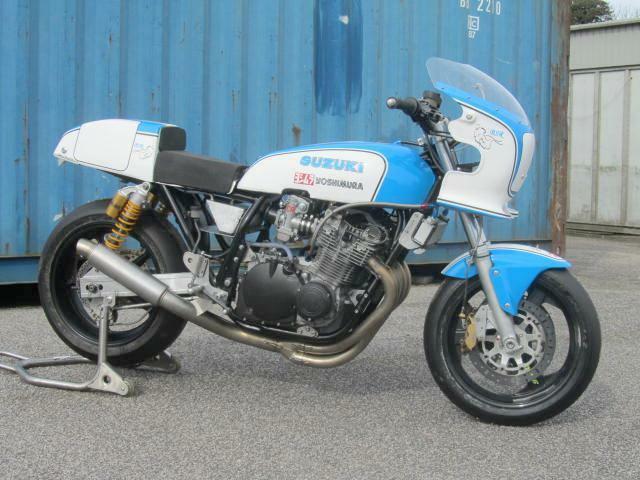 The Wes Cooley Replica takes us back to a time when heavy but powerful (talking late seventies – early eighties here) roadbikes were cut n shut before being put on the track to race. 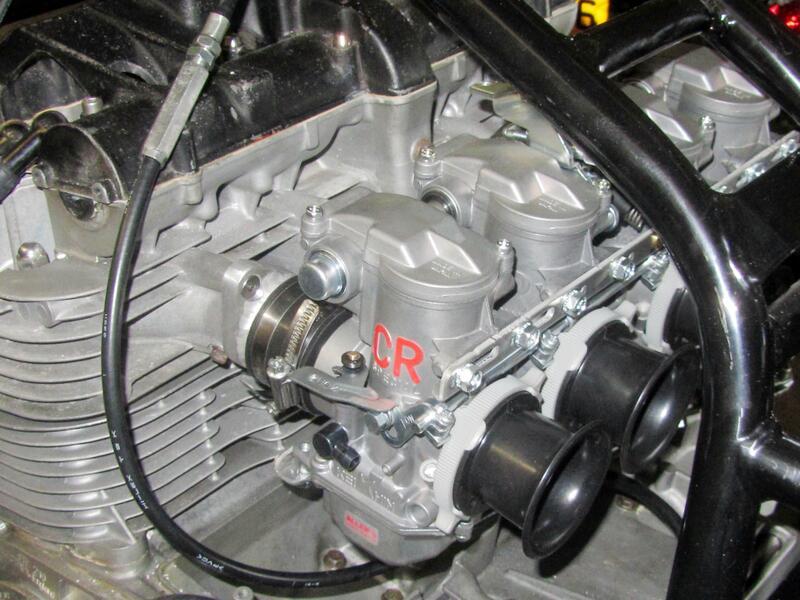 Motors were still basic two valves per cylinder air cooled behemoths – four valve motors would come later – later still we would see high-power oil cooled Bandit motors shoe-horned into the same old steel framed chassis in an effort to stay ahead of the game. This is the story of the Wes Cooley replica built by Buffalo Bill Simpson in his Dalbeattie workshop during the time I was involved there. 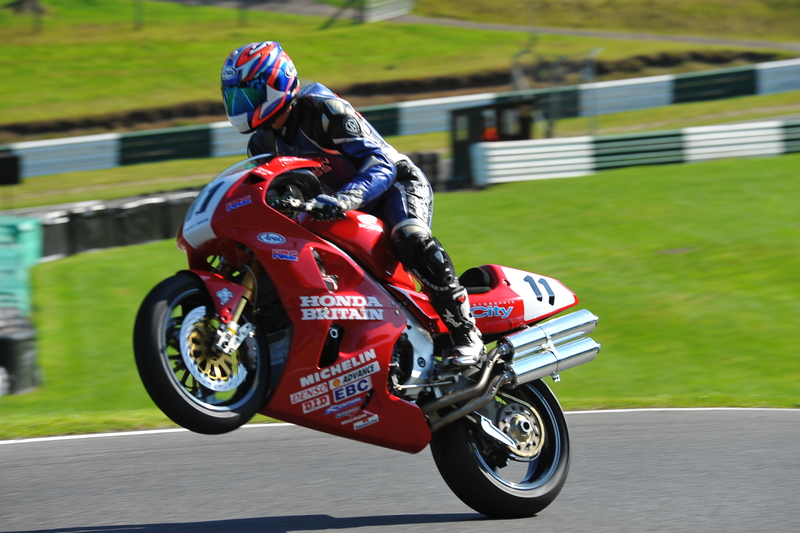 10/12/2012 – Post – Wes Cooley Replica. 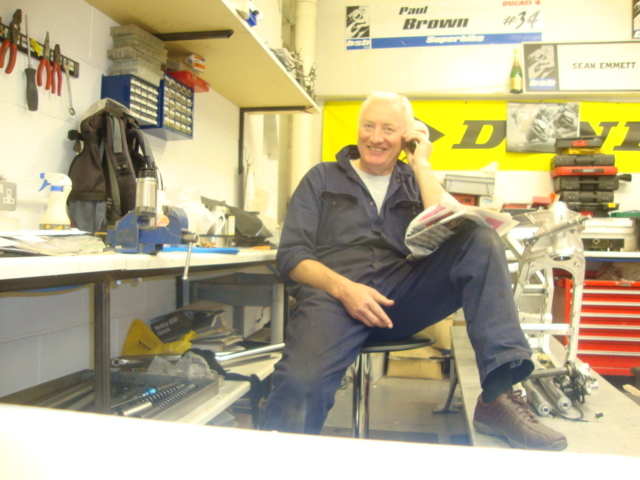 It wasn’t all nature luvvin today as I called into the workshop to catch up with what’s been happening. 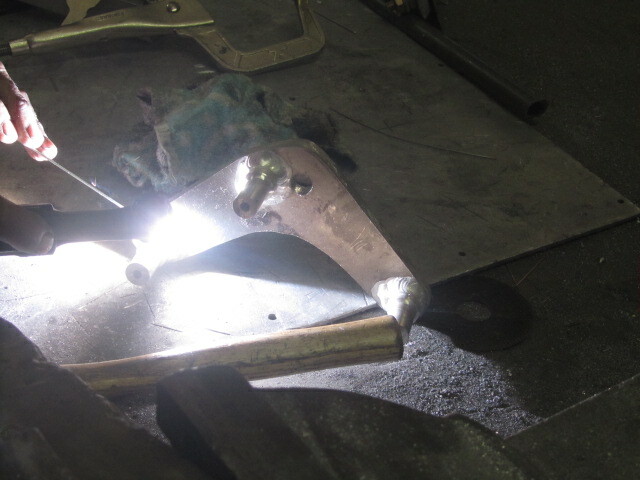 The Wes Cooley GS thou was coming along slowly. 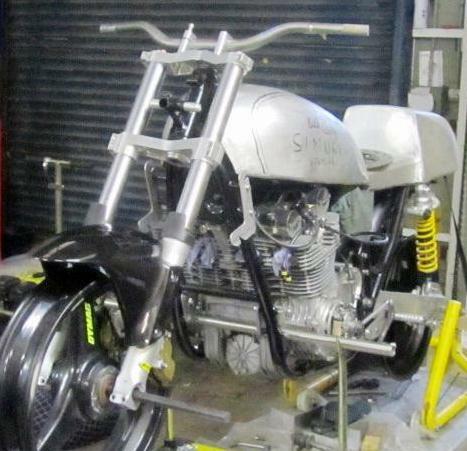 It’s a spare time project by Buffalo who is always busy building and fettling race bikes for other people but it’s getting there. 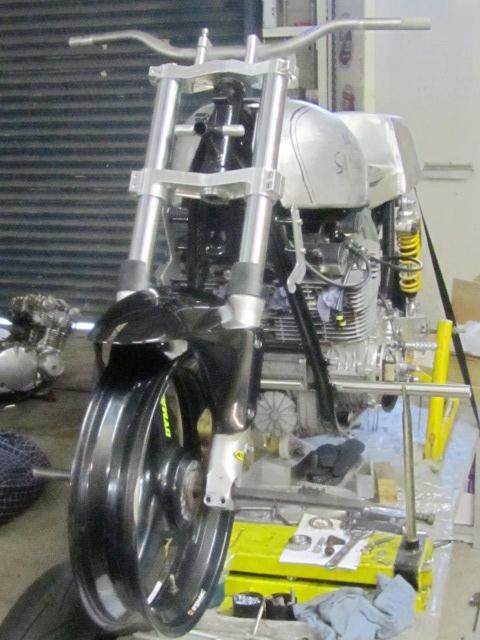 Yes that’s a pair of fully adjustable Ohlins on the back of the old GS. 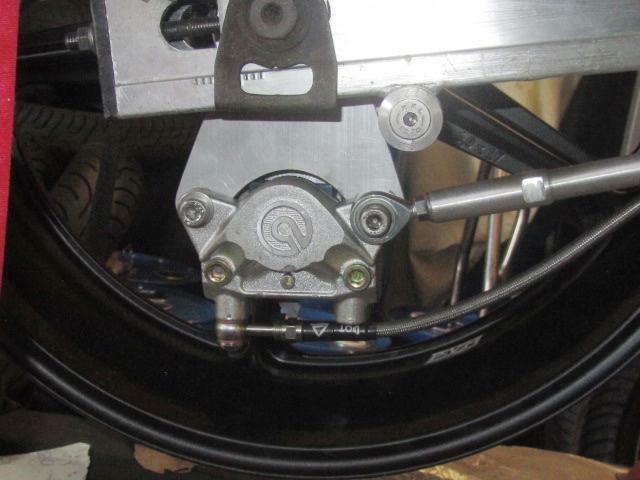 I know all about them cos I fitted them to my original XJR 1300 many years ago. 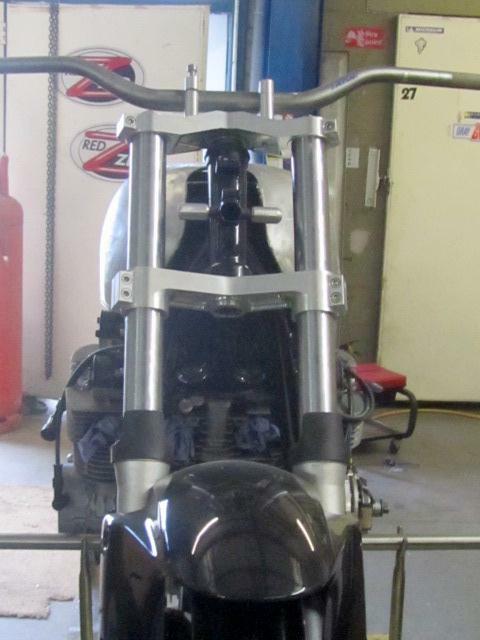 The swing arm is home brewed and will have alternative mountings for the bottom shock mount. 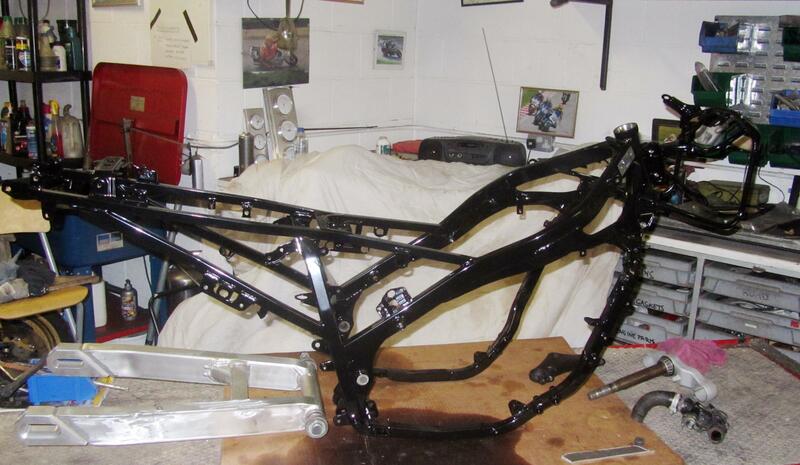 The frame has been strengthened around the headstock area and powder coated. 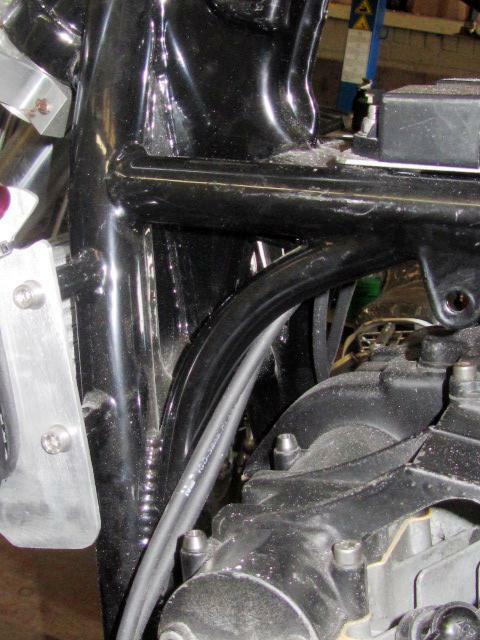 An out-rigger bracket has been made to support the rear-set gearshift mechanism and the alloy fuel and race seat units are formed but require finishing. 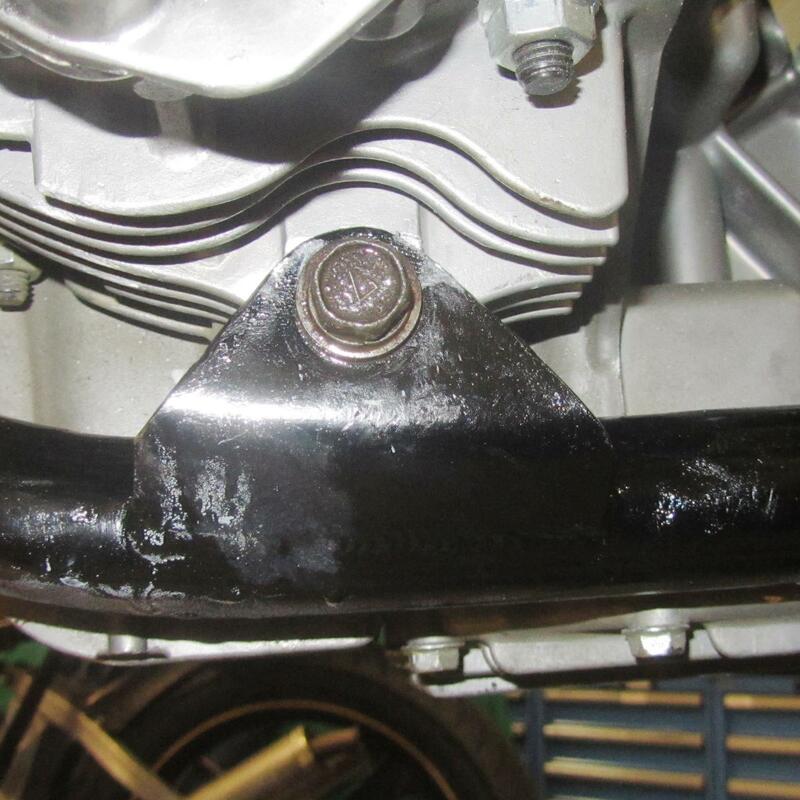 I’m pretty sure that’s a wide 17 inch wheel in there because as with the XR69 we are finding that tyres are the problem with the original 18 inch – both in cost and sourcing. 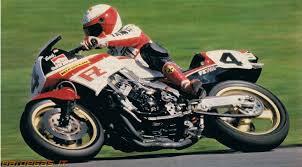 Then there’s the TZ350’s to get ready for this year’s ICGP series. 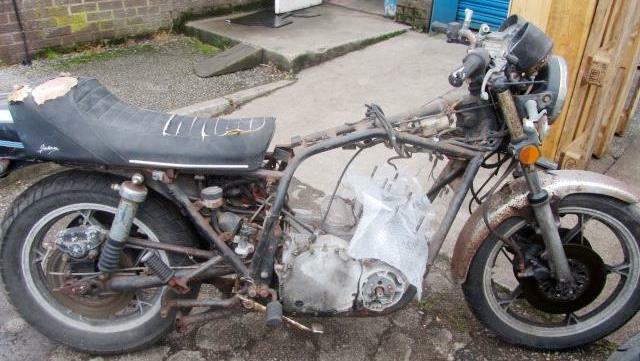 One was crashed at Valderama and will need a complete make over plus there is at least one to be built from scratch while there are two more TZ’s in the mix somewhere. 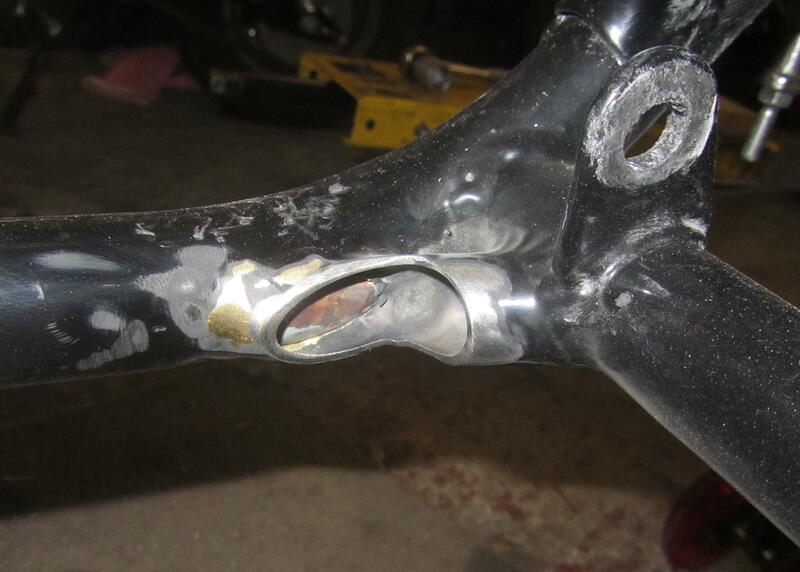 Makes me think that the Wes Cooley twin-shocker may not be ridden in anger this year. 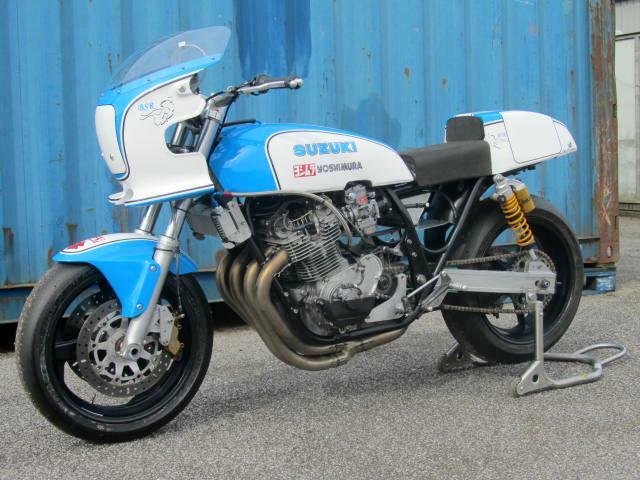 but in actual fact it goes back further than that and was made famous by Wes Cooley on his Suzuki GS thou muscle-bike in the seventies. 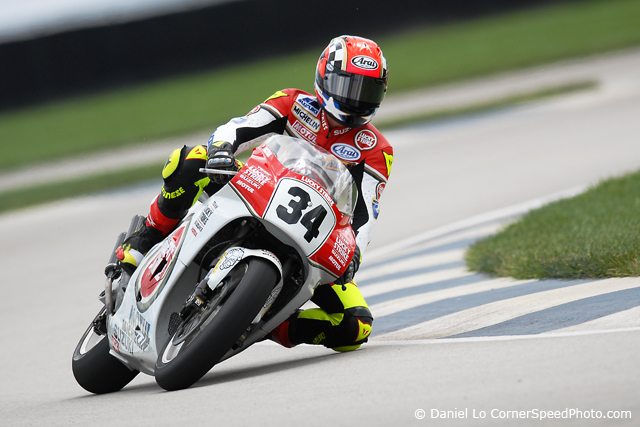 Thanks to Daniel Lo Cornerspeedphoto.com for the use of that brilliant pic of Revvin Kevin at Indianapolis. 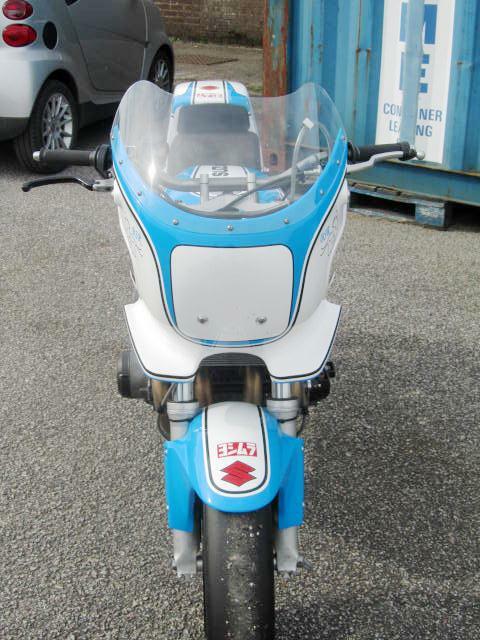 Someone spotted my Wes Cooley Rep post and has sent me this photo of an original Suzuki GS 1000 – ok the name on the tank has been reversed but I can live with that because it’s such a beautiful bike. 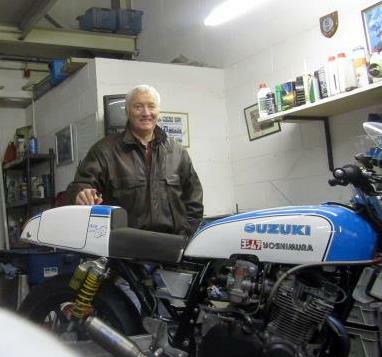 I didn’t know them in their heyday because I was working in Africa and the Middle East during the seventies and played at trials riding when I came back to the UK in the eighties. 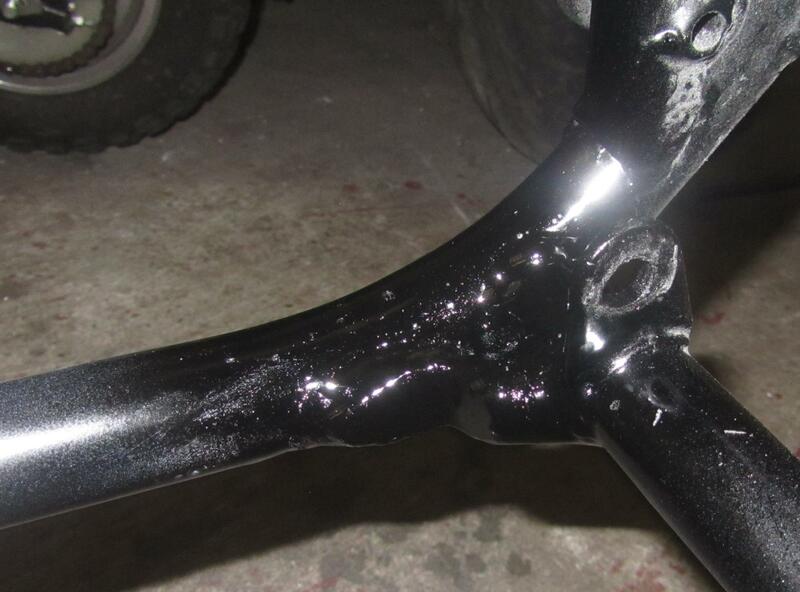 Big muscled road bikes were a foreign territory to me at that time. 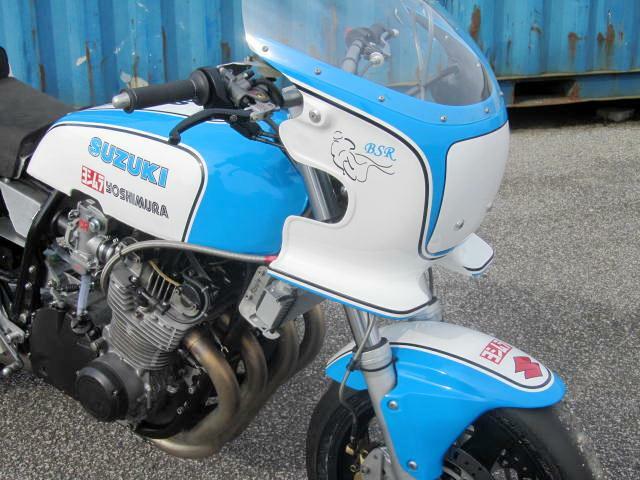 Pops Yoshimura was the man behind the original Suzuki GS1000 that Wes rode to two wins in the prestigeous Suzuka Eight Hours race in Japan while teamed with Mike Baldwin in 1978 and with Graeme Crosby in 1980. 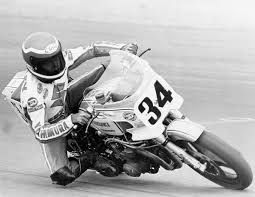 At home in the USA he had some tough competition from Eddie Lawson on the Kawasaki Z1000 and from Freddie Spencer on the big Honda but won the AMA National Superbike Championships in 1979 and 1980. 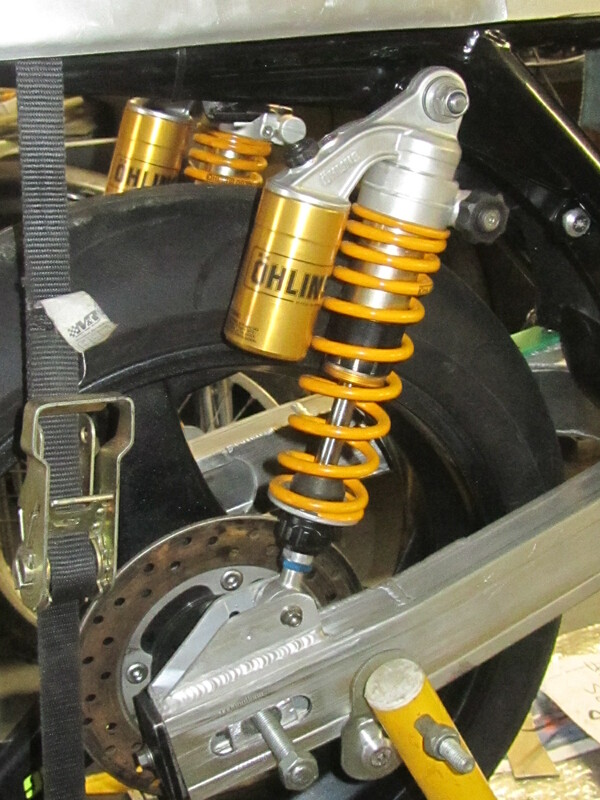 The GS1000S – Wes would love this one – 45mm Showa forks with compression and rebound damping clamped into custom billet yokes with adjustable off-sets. 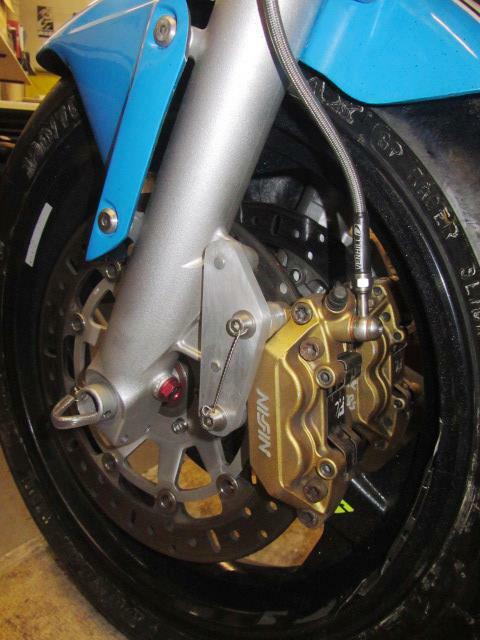 If that isn’t enough I’m sure he would salivate at the thought of those fully adjustable twin-shock Ohlins helping keep the 180 section rear tyre gripping the tarmac. 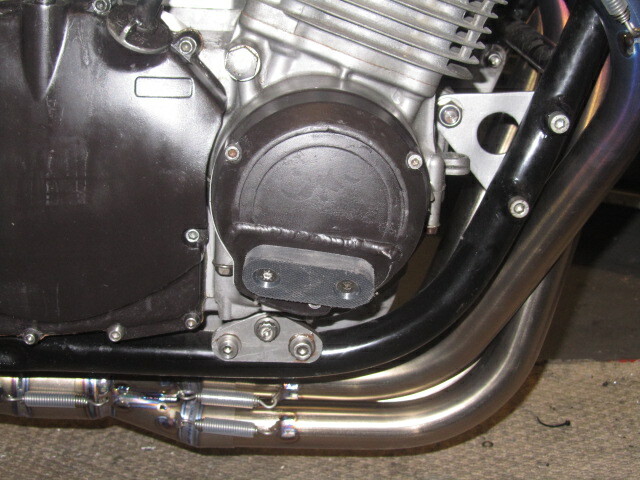 Perhaps the Chris Mayhew fettled motor in it’s current form may not pump out any more horses than the original Yoshimura tuned lump – but – I think Wes would be happier hanging onto those Fatbars in their custom risers while wrestling her round the bumpy Daytona banking at 150mph plus than he would have been with whatever his GS was wearing in the seventies. 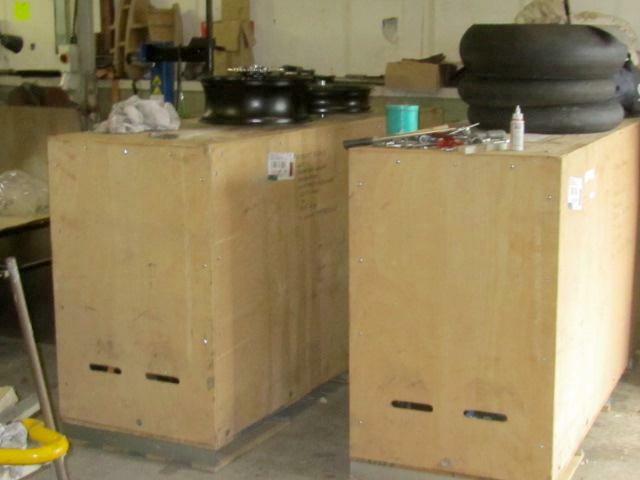 By all accounts there’s one crashed bike and two blown motors in those crates. My photos of the big Susie didn’t do her justice yesterday so I put a few more amps in the battery of my Cannon Powershot and had another go today. 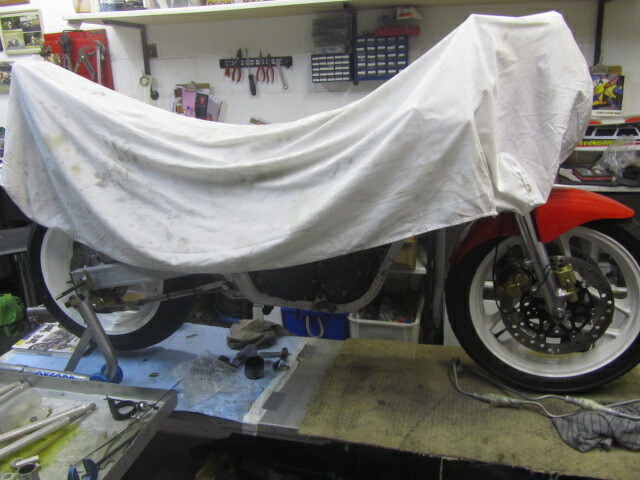 I was actually doing a refurbish on a TT winning R6 but my heart was on the other side of the workshop where the Suzuki GSX1000 Wes Cooley Special is coming together. 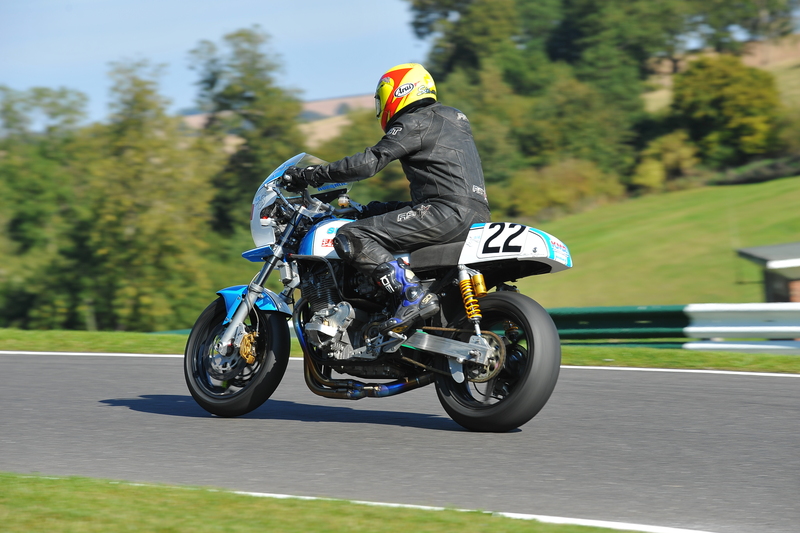 23/09/2012 – Post – Wes Cooley Special Roars. 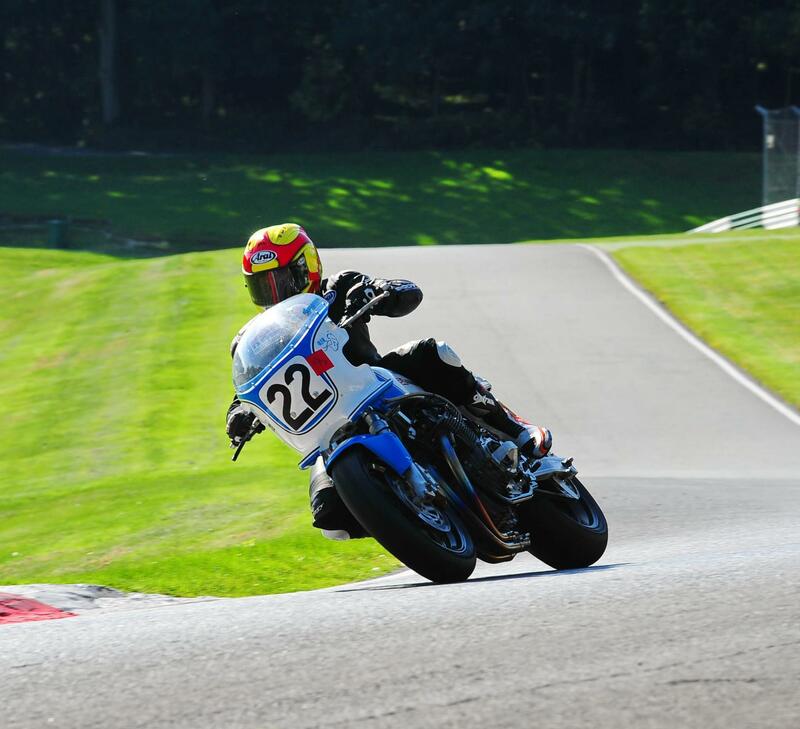 Sadly I missed the trackday at Oulton Park on 19th Sept that saw the BSRacing built Wes Cooley Special roar in anger for the first time. 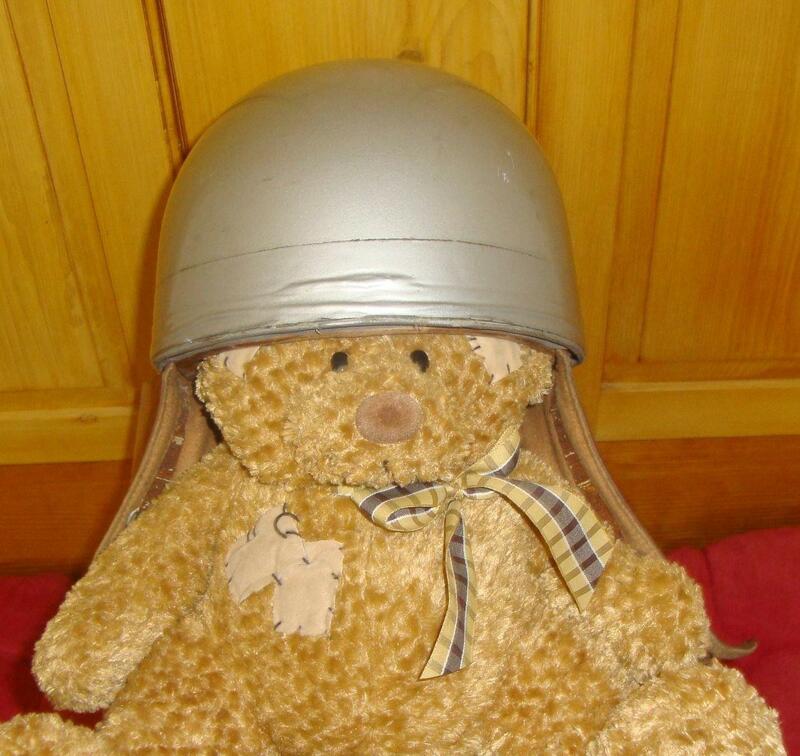 No worries – I caught up with Buffalo today and he was a happy chappy. 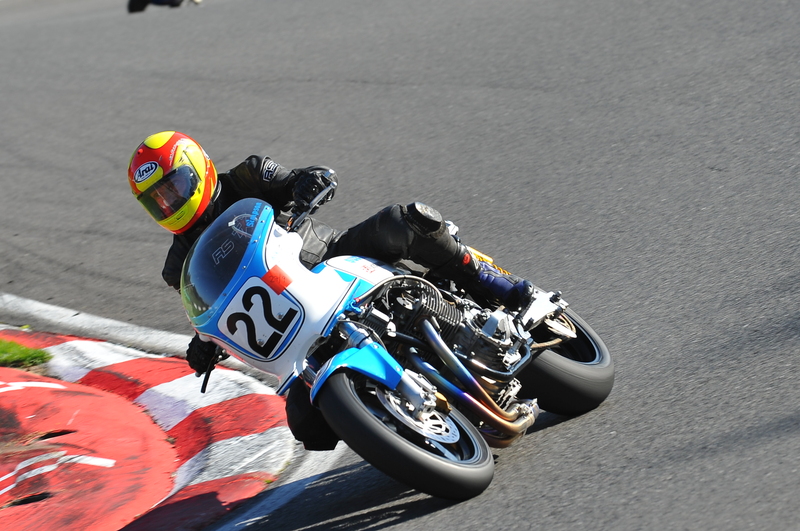 After a bit of fettling with the carbs he had the 1983 GSX1000R Wes Cooley Rep lapping in 2.02 which is on a par with the modern sports bikes in Fast Groups on most track days. 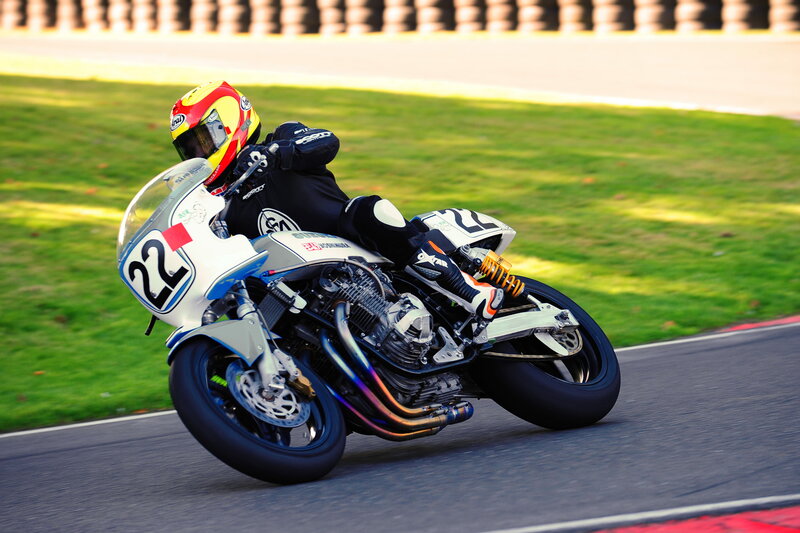 With Buff doing the riding she handled well with real meaty power from about 3500rpm and she certainly had more stomp than the similar big bore 1098cc eight valve motors in the XR69s – possibly down to the uprated 35mm smoothbore Keihen carbs which have yet to grace the XRs. 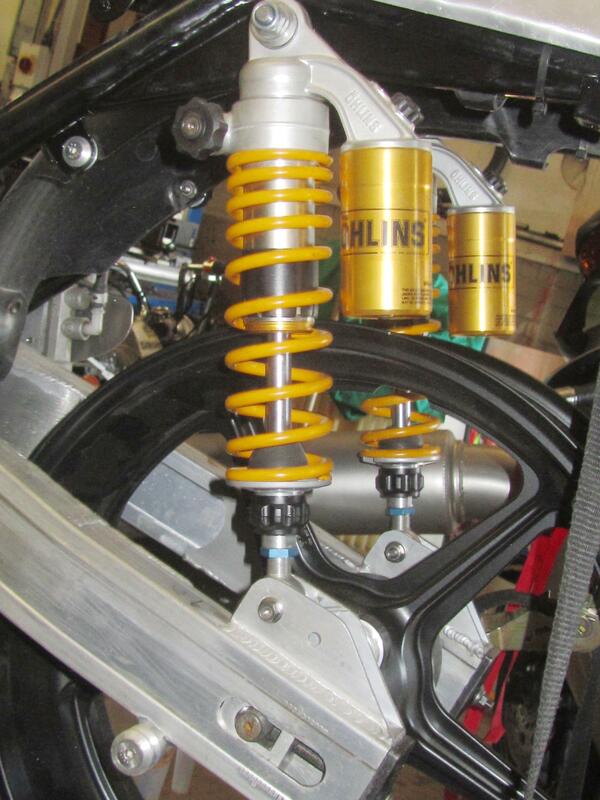 The fully adjustable Ohlin twinshocks already sport custom made 30mm extensions but she is going to be jacked up another 5mm at the rear to help hold the line under power. 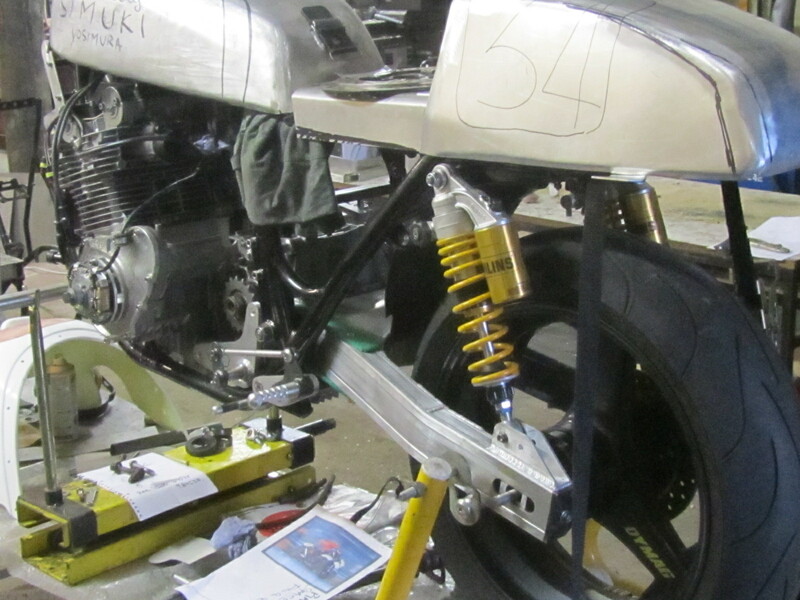 By all accounts the Showa front forks worked well in combination with the Ohlin rear shocks and the Nissin front calipers biting on twin discs were more than capable of hauling up her 179kgs fighting weight. 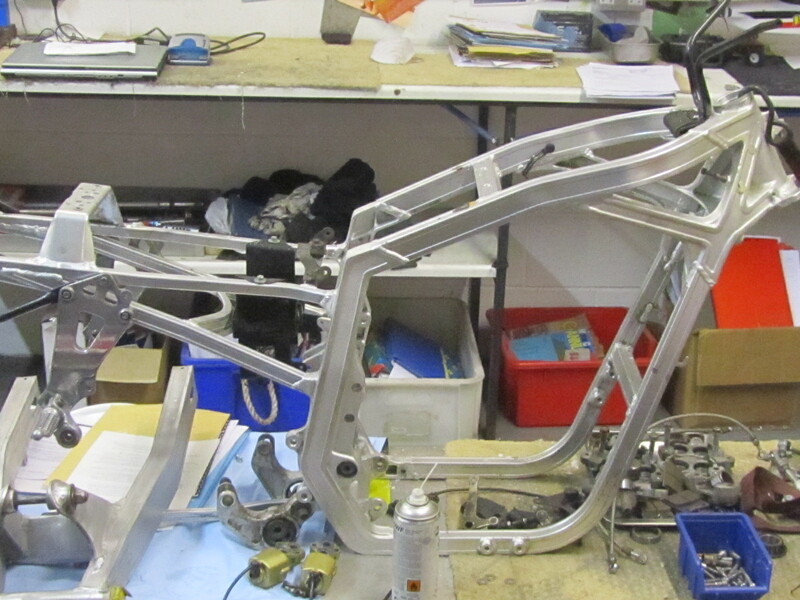 The 17 litre alloy fuel tank plus the alloy seat unit and catch tanks all fabricated in-house look the part and the whole bike is testament to builder Buffalo’s engineering ability and years of experience in the racing game. 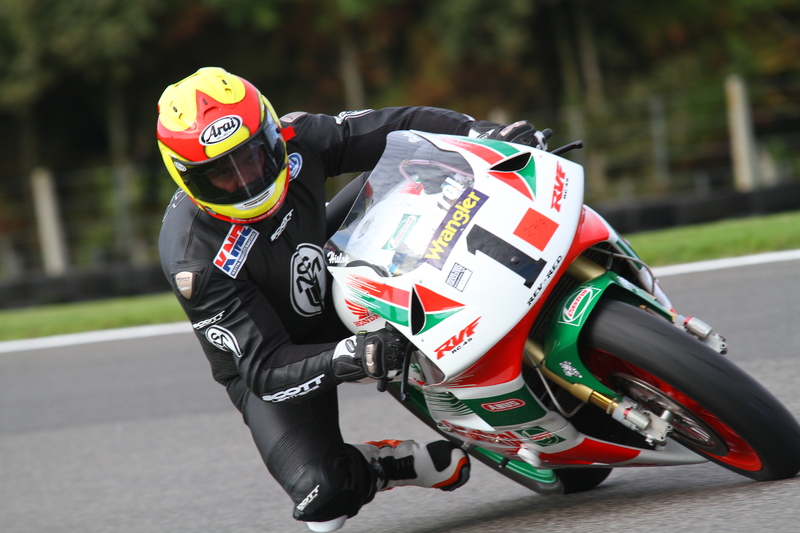 As a former TT winner and Scottish Champion he is no slouch in the saddle either and after a few minor adjustments and further testing I’m sure the Wes Cooley Special and rider will do well on the tracks in South Africa this winter. 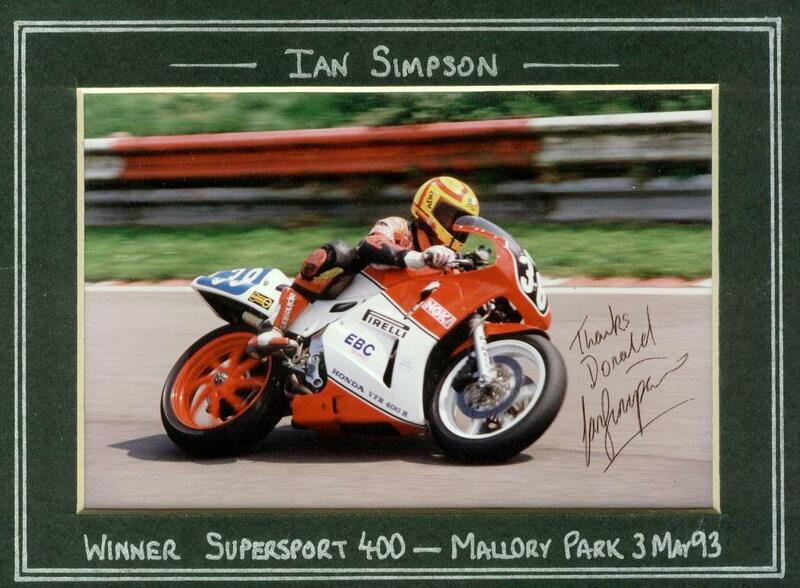 If you want one – best get your order in quick cos bikes this good from that era are as scarce as hen’s teeth. 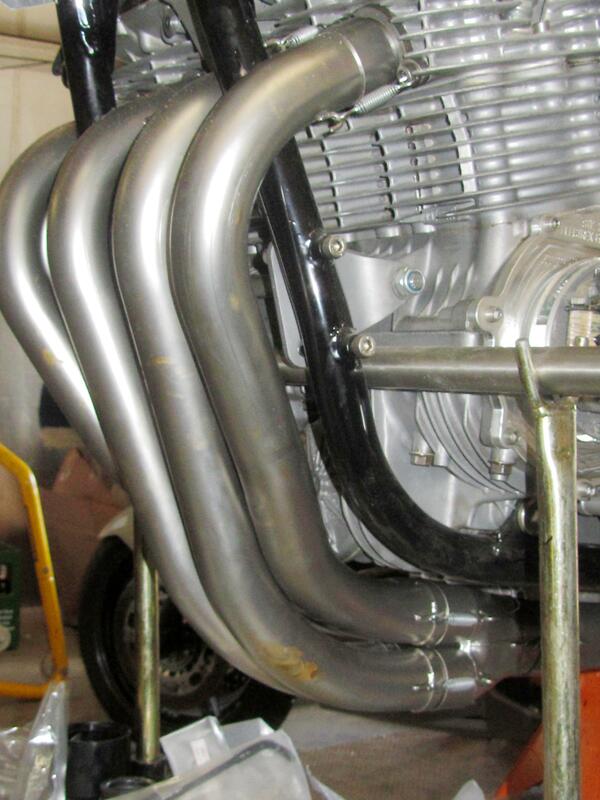 The blueing on the headers happened on the dyno when setting up the carbs to suit the new smaller bore exhaust. 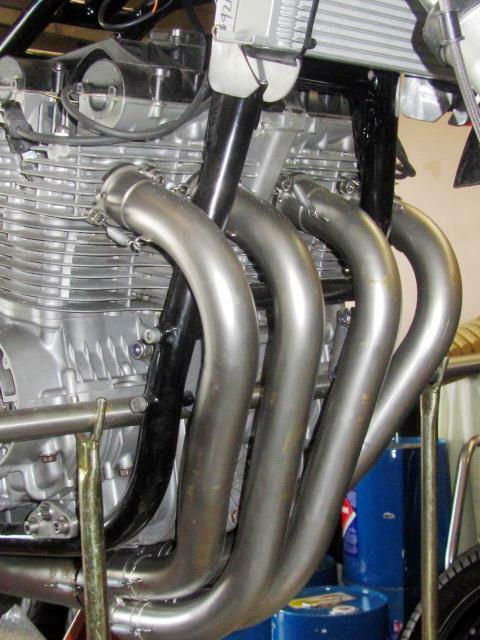 The eight valve 1098cc motor was kicking out 108bhp at the top end when fitted with the stainless steel big bore pipes but that was reduced to 106bhp once the smaller bore set was fitted. 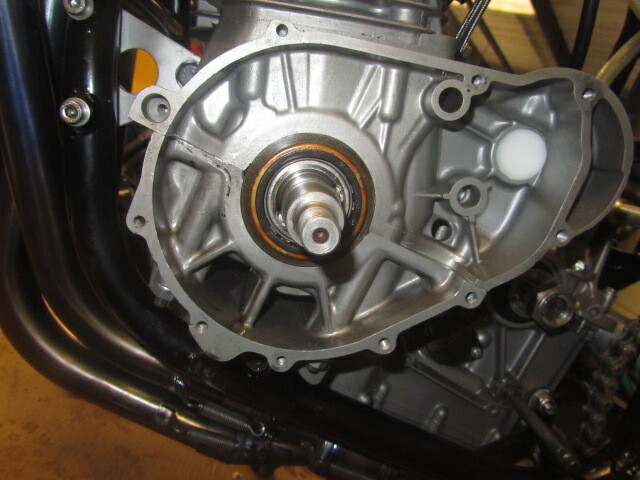 The benefit with the titanium setup is a reduction in weight and a virtually flat torque output giving 77ft.lbs all the way from 4500rpm to a conservative 8500 which should work well with the old five speed gearbox. 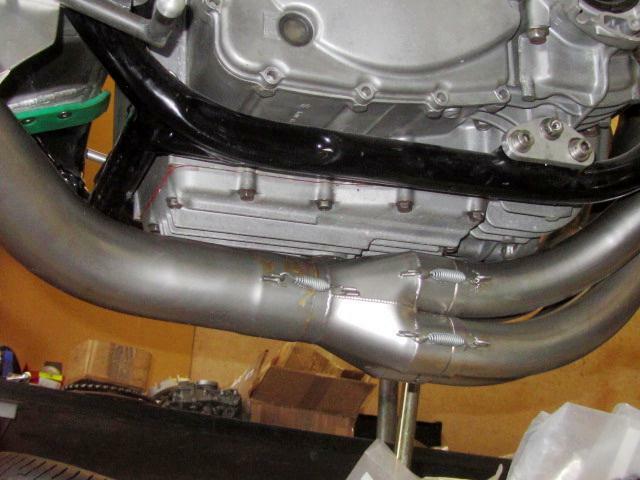 Granted she’s a diesel – but a real nice diesel from a shop that knows their race craft. 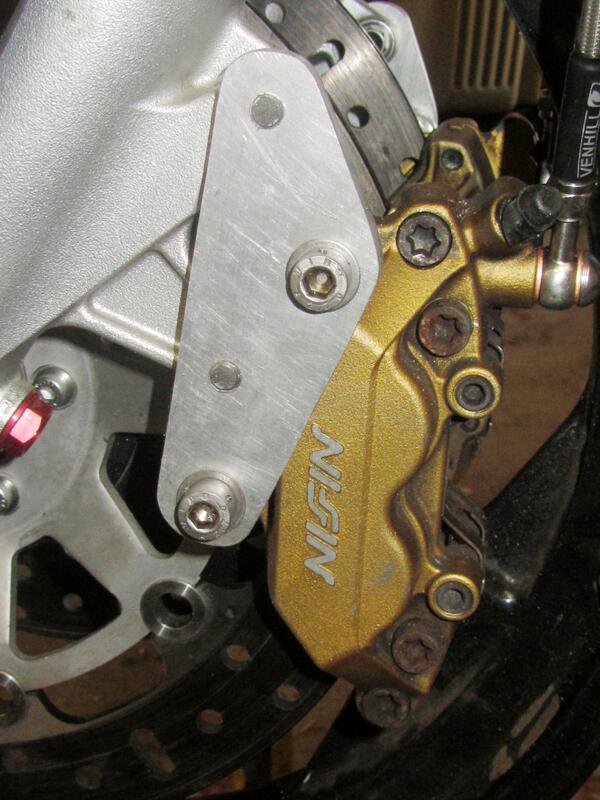 Wes Cooley Special Goes Titanium. 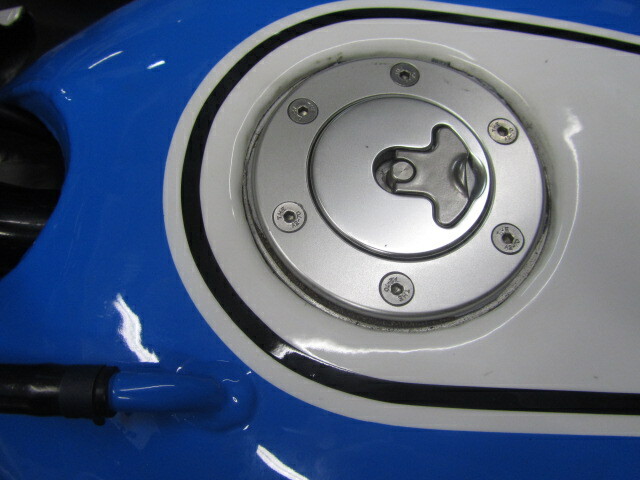 I never tire of looking at the bike in the flesh but that would be hard to do right now as the bike is on it’s way to South Africa to take part in a series of parades and races for a variety of Superbikes from the seventies. 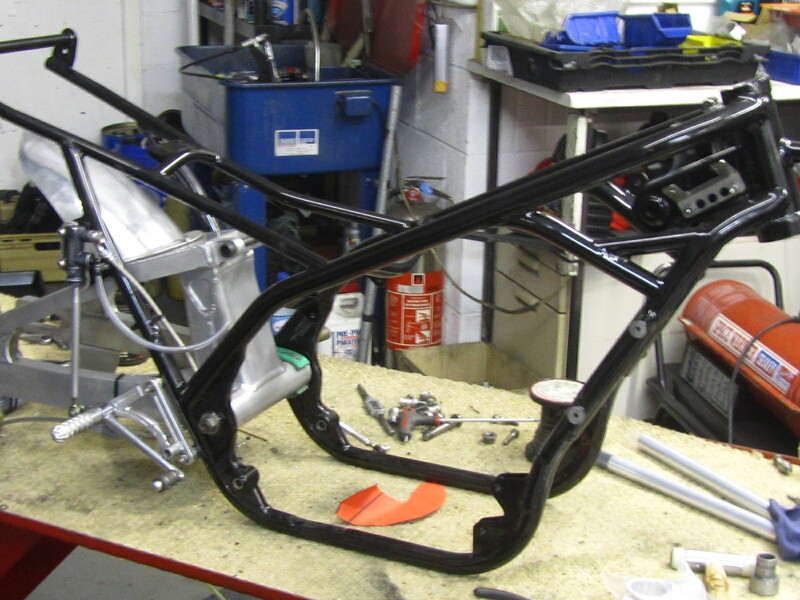 The bike was built by Buffalo himself at Bill Simpson Racing and he will be off soon to catch up with the big Susie to race it in the warm South African sunshine. 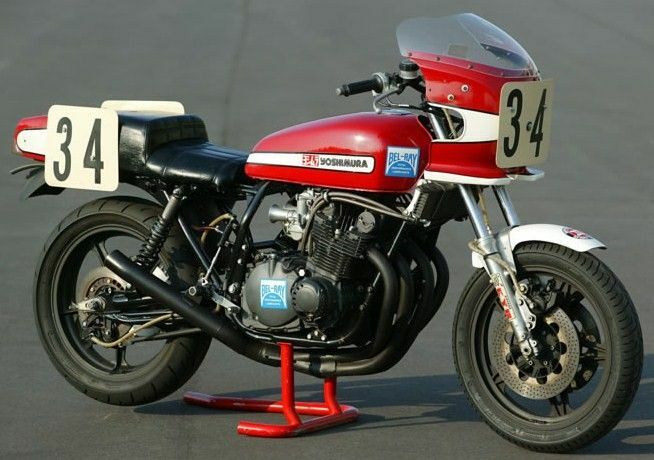 But – in the meantime – thanks to my friend JT over at the XJROC I have found a vid of the original Wes Cooley bike competing at Laguna Seca in the late seventies against future GP stars from that era such as Freddie Spencer and Eddie Lawson. 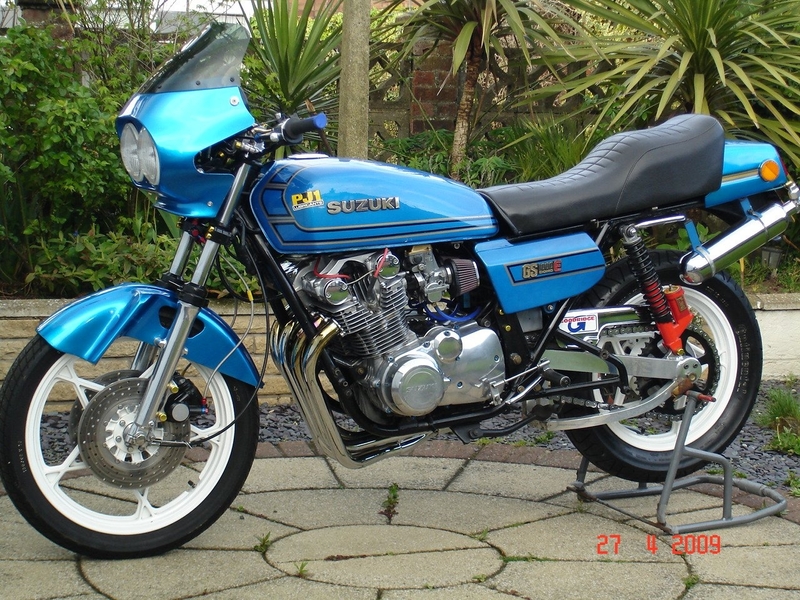 Here’s a very nice Suzuki GS Thou from 1979 that’s been in the same hands for thirty years. 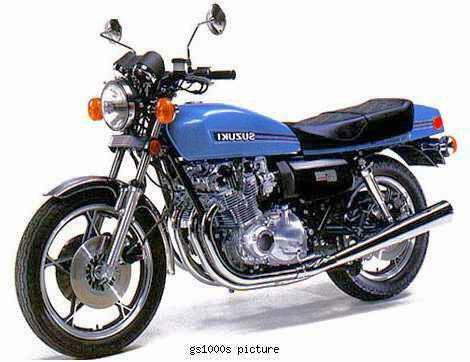 The Suzuki GS1000 has always been my favourite motorcycle and when the opportunity came to purchase one back in 1983 I leapt in with both feet. That same machine is my absolute pride and joy today. 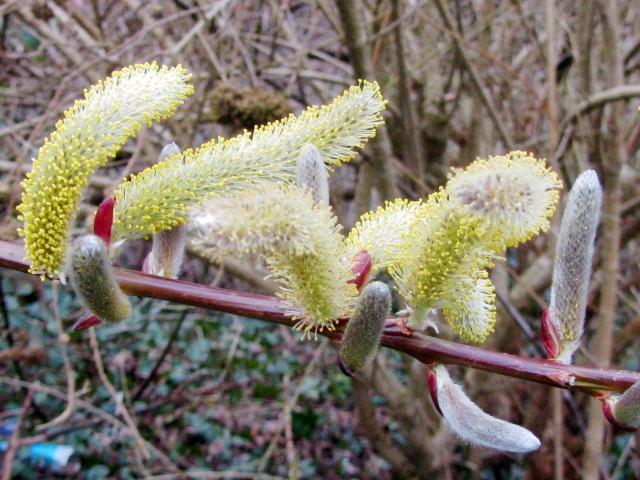 You would not believe that it has been through rain and snow in its earlier years but I have relentlessly tried to keep it in tip top condition over the years as it has given me such fond memories. For the previous two years due to family and personal issues I haven’t been able to ride the Suzuki but this year I am hoping to spend a lot of time riding her. 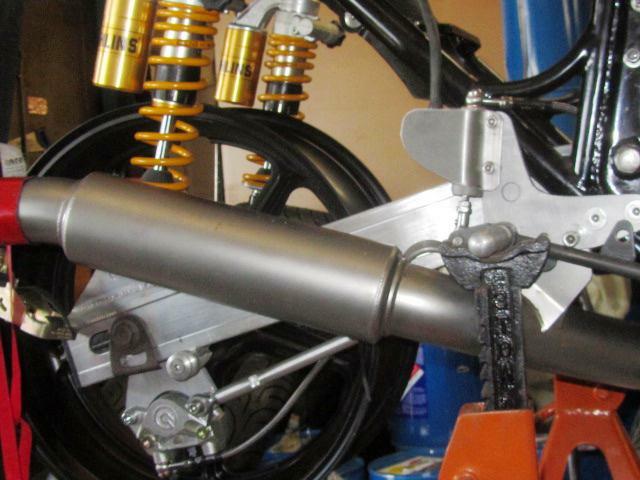 To that end over this winter I have been giving the bike a full makeover. There have been plenty of little niggley jobs that have needed doing for so long. 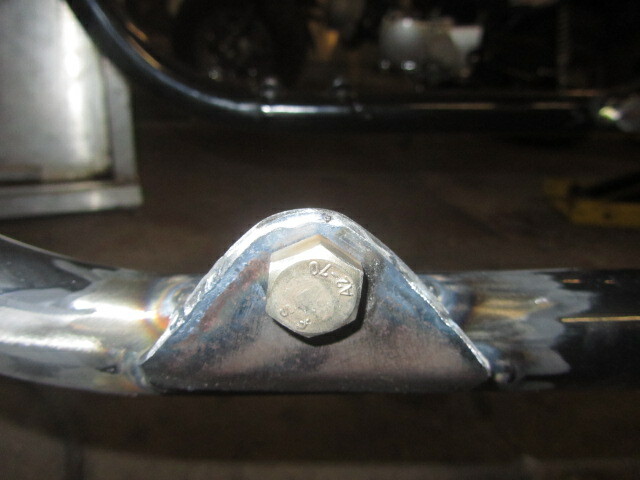 As with all Suzuki GS1000’s they notorious suffer with rattling clutch baskets due to the weak basket springs. 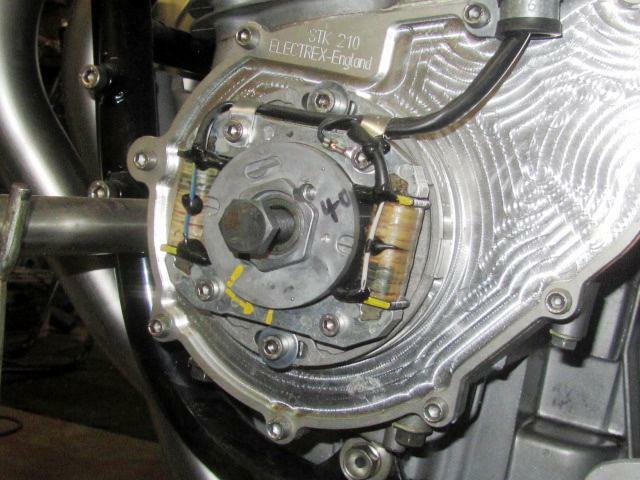 So have I had the clutch basket modified with a heavy duty Falicon kit by Straightline Racing in Peterborough at the same time taking the opportunity to fit a new complementary set of EBC friction plates with heavy duty springs. 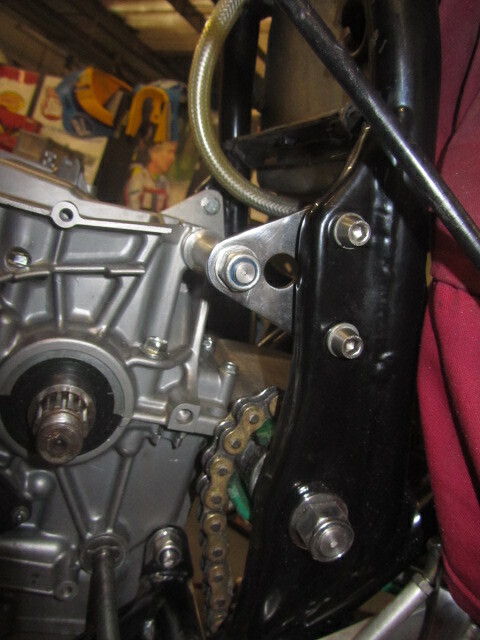 Another area in which GS’s suffer is with the starter clutches particularly the starter clutch allen screws working loose. 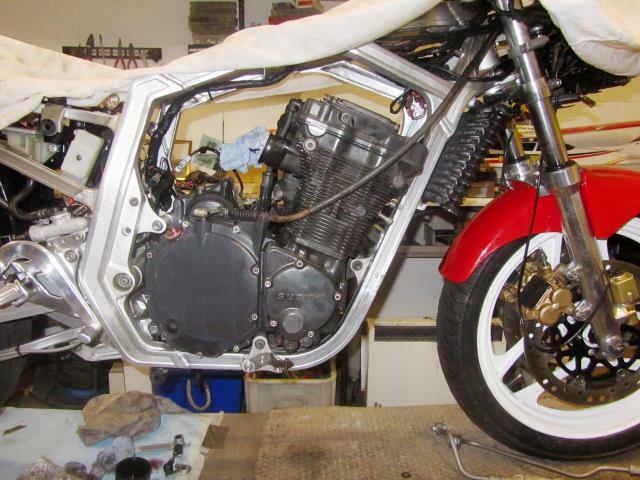 So I have stripped out the old rotor and starter clutch unit and fitted a new complete starter clutch. 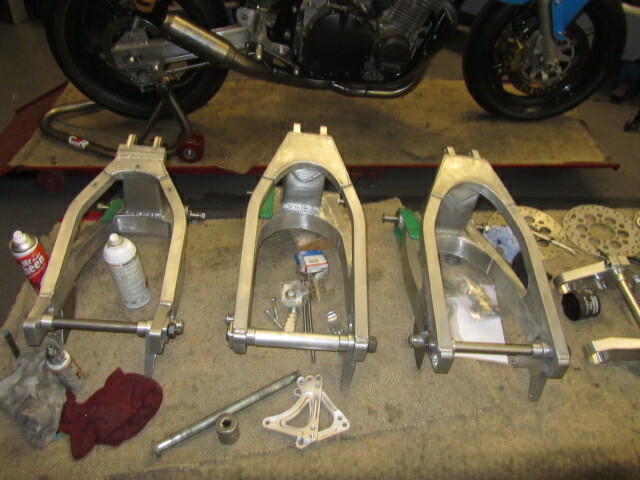 Next on the agenda was to fit a Dynojet Stage 3 kit. 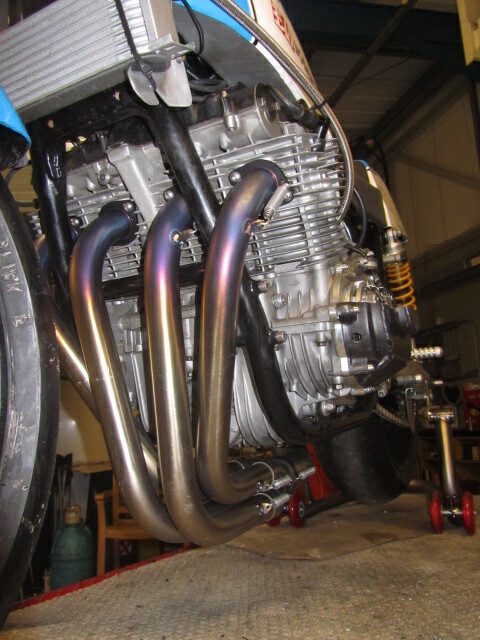 This has now been fitted with full synchronisation of the carbs complementing the Vance and Hines performance exhaust and carb bellmouths. 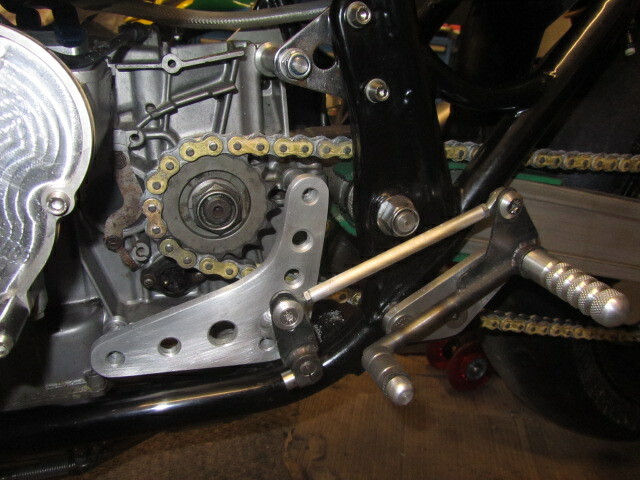 She is undergoing a 530 chain conversion in the next couple of weeks. 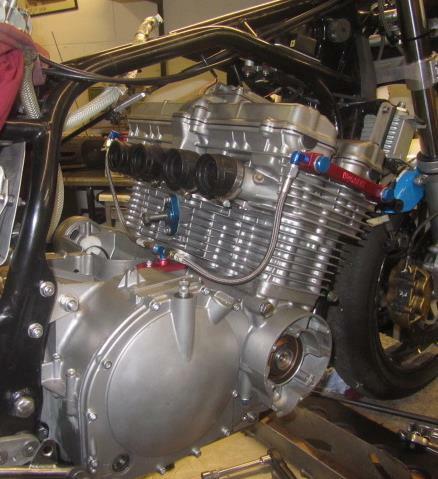 The engine has a 1085 Wiseco big bore, high compression kit fitted. 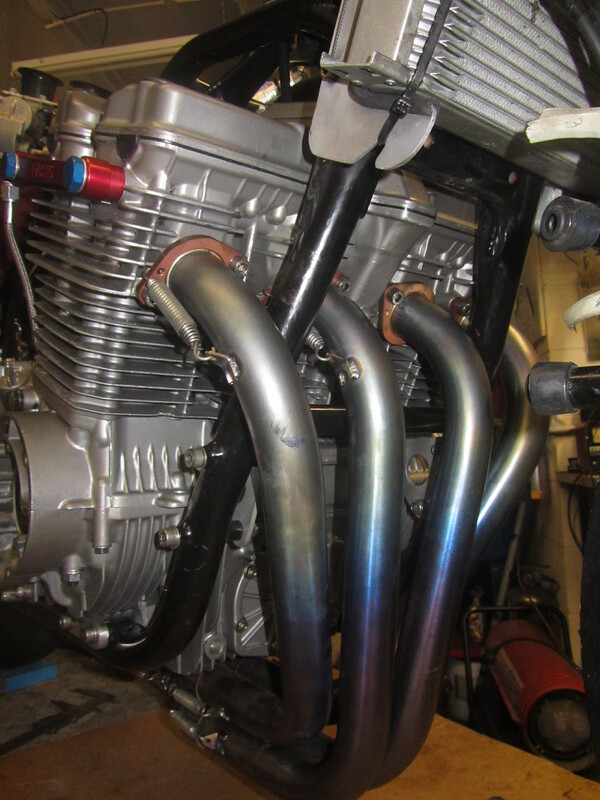 The chrome bottle that you can see in the pics is part of the nitrous kit I had fitted 15 years ago in my mad years but is no longer used. After a summer spent gardening I find myself back in the workshop this week and I couldn’t have picked a better time to be there. 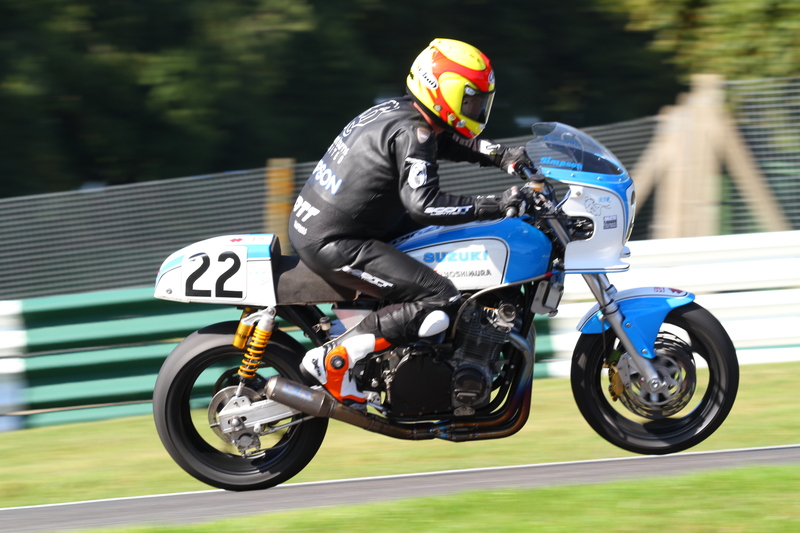 The Wes Cooley Special with it’s two valve per cylinder motor chucking out about 110bhp posted some respectable times during a Track Day at Cadwell Park last week. No problem! 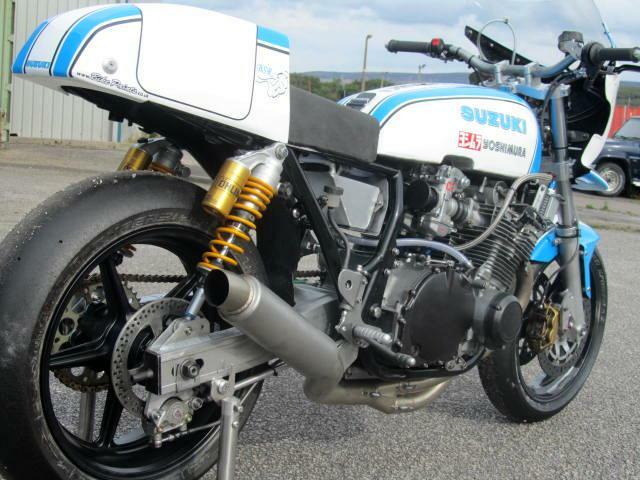 They are both based on the stock motors used in the Suzuki GS1000 range so swapping them should be a doddle. 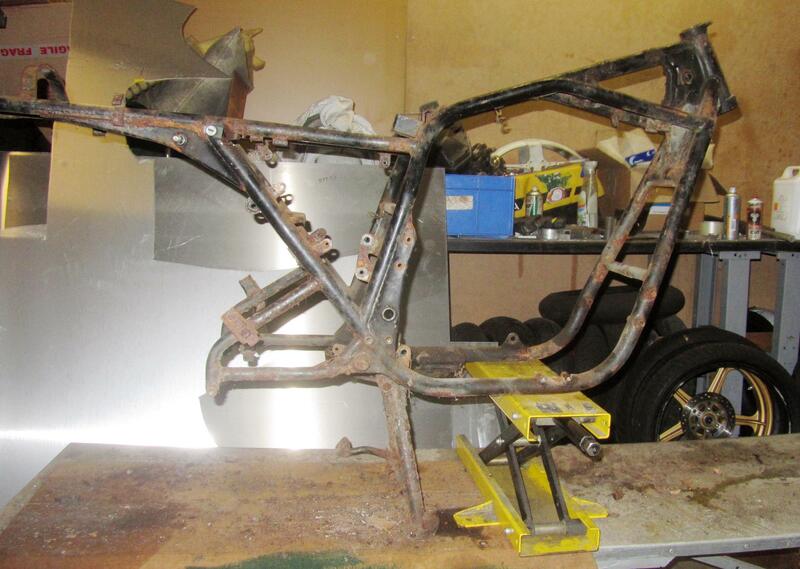 It was to be a spare time project but there hasn’t been much of that in a busy year round race workshop. 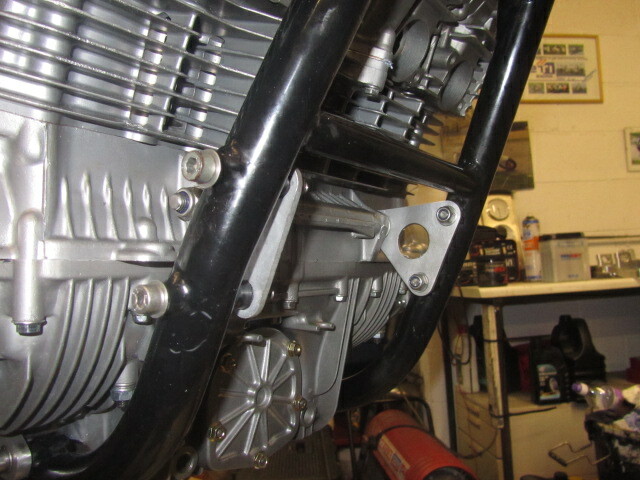 The carbs have been test-fitted to ensure they clear the underside of the petrol tank. 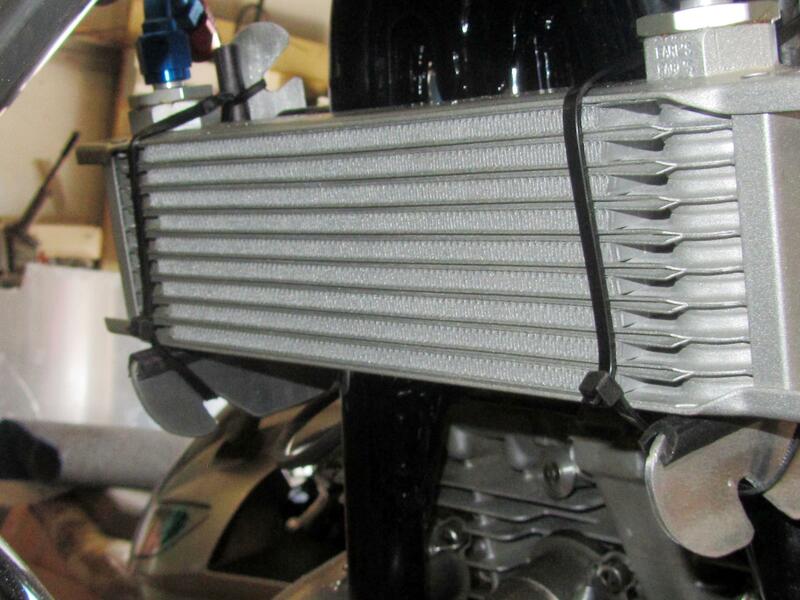 A higher capacity oil cooler and fittings to cope with the increased heat from the extra power are on their way and the revised ignition system has also been sourced. 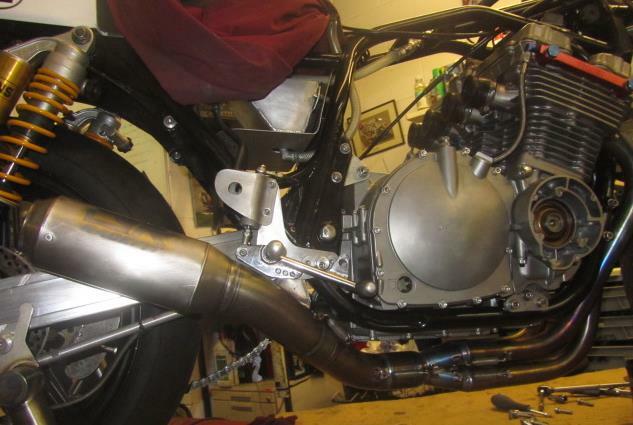 With everything coming together now the bike will soon be off to the dyno to have the carbs set up to match the more powerful four valve per cylinder motor and bhp figures north of 135 will be the target..
A test session is planned for the Wes Cooley Special at Aragon Circuit in Spain towards the end of this month before she is crated and delivered to South Africa where my friend Buffalo will ride her in a Classic Bike four race series over a three week period early in 2014. 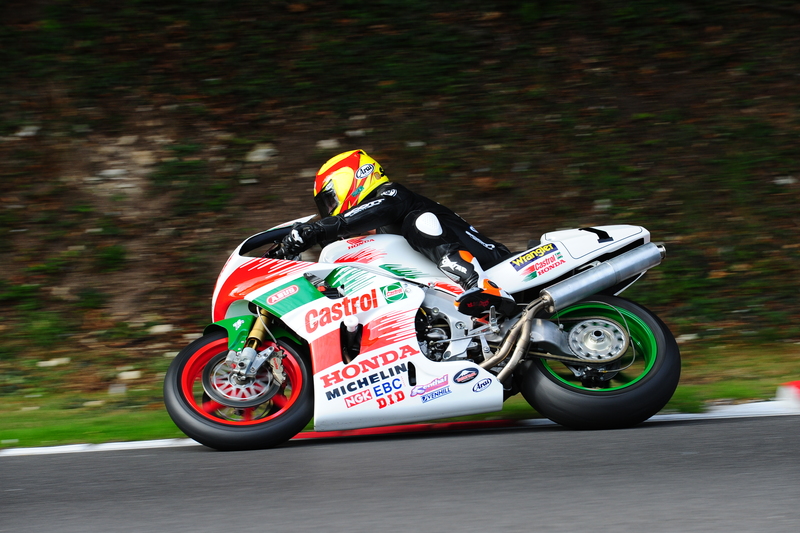 The pairing finished fourth overall in the four race 2013 programme and will be hoping for even better things in the new year but with strong local competition such as ex-GP rider Les Zan Breeda on a well sorted – similar engined Katana it will be no easy ride for our former Scottish Champion and TT winner. 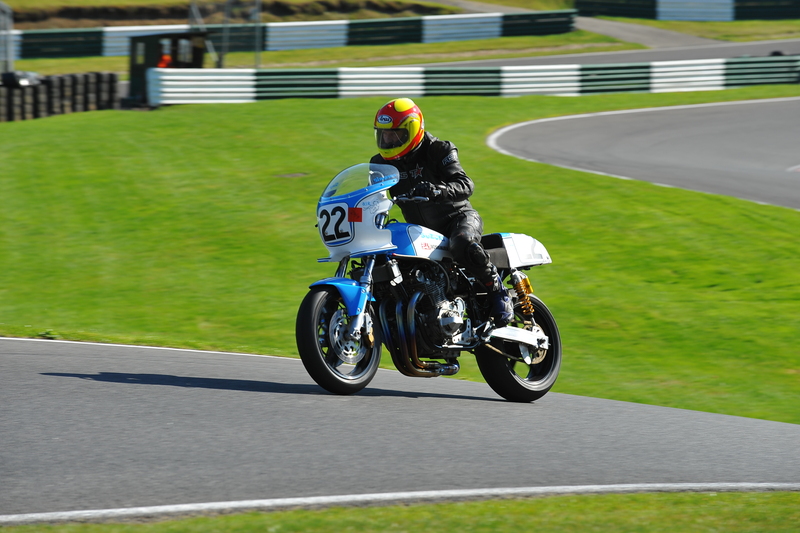 The Wes Cooley special was at Cadwell Park for a gallop just a few days ago and though she wasn’t raced in anger, did by all accounts give father and son ‘Team Simpson’ a pleasant day in the saddle while circulating with some respectable company. 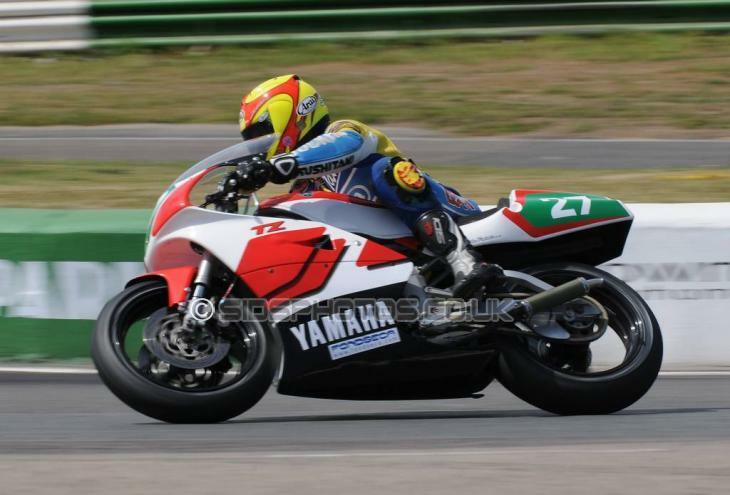 It was a ‘no fuss – no drama’ sort of outing on the big fourstroke – just what was needed towards the end of a busy season racing a pair of Yamaha TZ 350s on the old European GP circuits in the ICGP series. 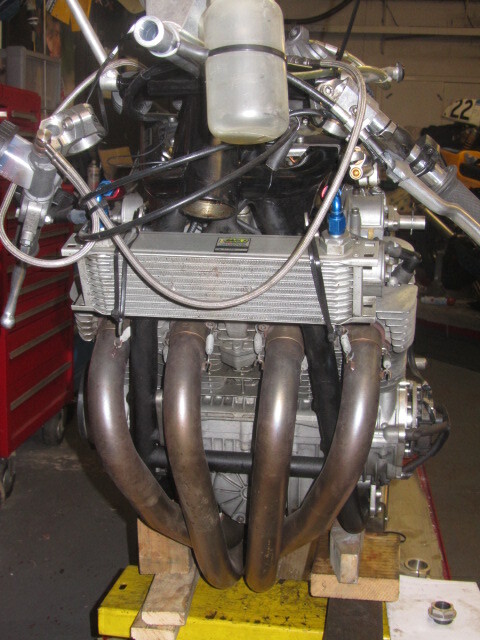 While I was under the knife on Friday the Wes Cooley Special went on a visit to the dyno where the carbs were set up to suit the Chris Mayhew tuned big bore – four valve per cylinder motor. 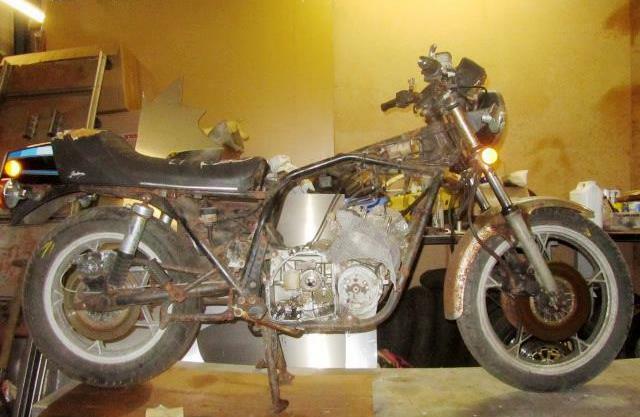 With 1160ccs to play with the final figures were pretty good for this thirty years old ‘diesel’. 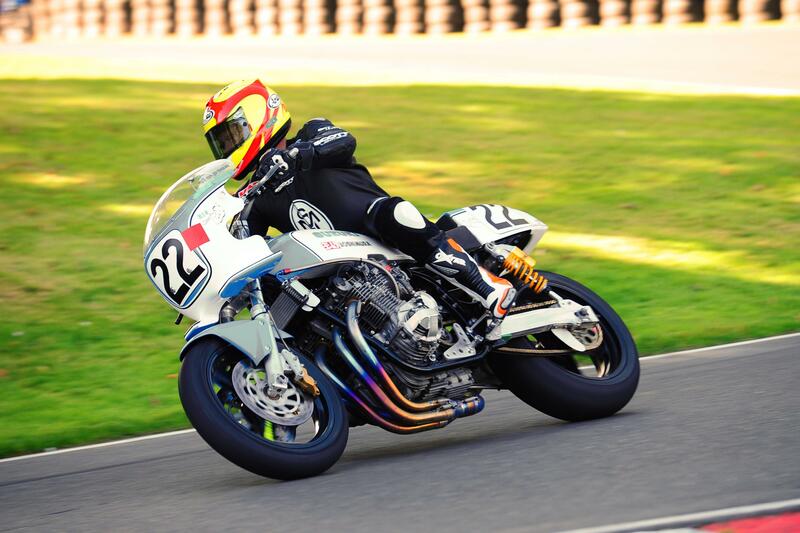 He claims the twin-shock Wes Cooley special ‘handles real well’ so providing the extra thirty five horses over the original two valve motor doesn’t tie the old bike in knots she should be a potent ride. 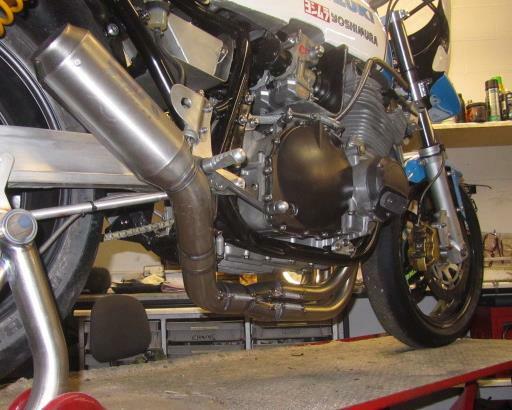 With 145bhp showing on the graph coupled with a meaty ft/lbs of torque reading in the high nineties the boys ran out of dyno time before they could play with the ignition settings so there could even be a couple more gg’s to be teased out of the old girl yet. 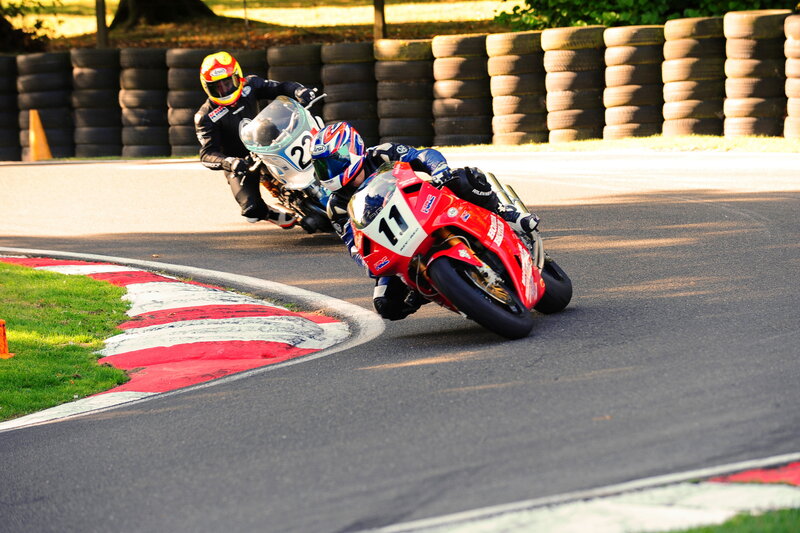 But – with the upcoming four races in three weeks at South African circuits varying in altitude from sea level at East London to the 6000ft Kylami, reliability will no doubt be more important than outright power. 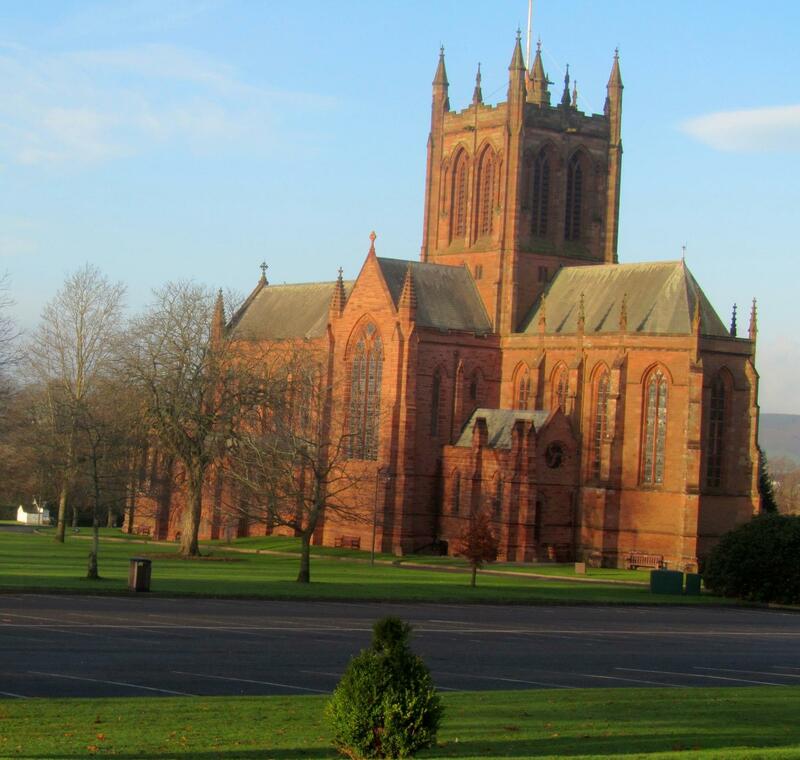 The talented Berwickshire farmer was to lose his life three months later at Hockenheim in a Formula Two race. 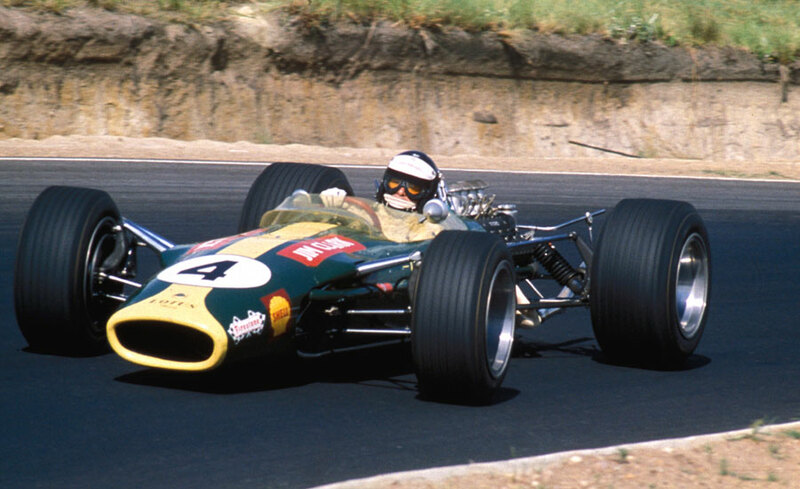 An indication as to the vagaries of carb settings required for racing in heat at altitude meant 1968 fourth place finisher Chris Amon in his Ferrari had to stop to re-fuel as he needed 54 gallons for the race distance when thirty gallons would have been enough over a similar mileage in a European GP at the time. That’s about it on the Wes Cooley Special for now. 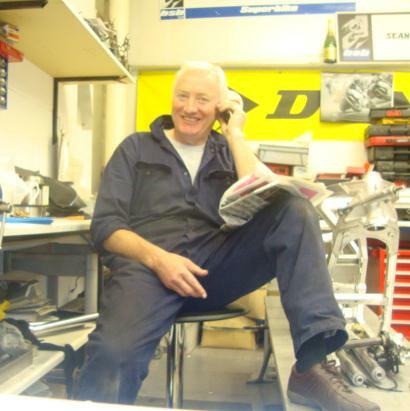 Bill had a very bad accident at East Fortune earlier this year while racing his XR69. Things didn’t look good for a while and unfortunately I have lost touch since moving to the islands. 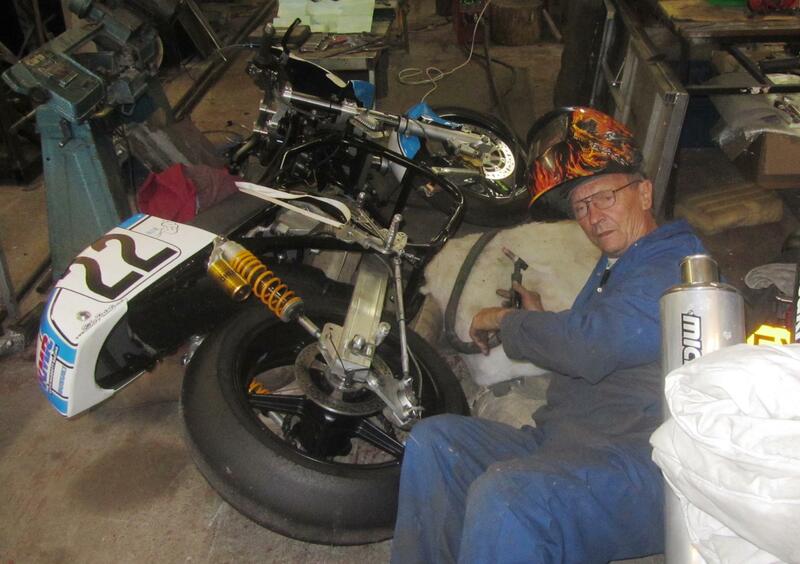 But – Buffalo is a tough ol’ cookie – Hopefully he will make a full recovery and get back to building bikes . If his Wes Cooley Special is anything to go by he is pretty good at it.